A controversy has arisen relating to the education expenditure vote in Budget 2016. A section of Opposition Parliamentarians has accused the Minister of Finance of adding some fictional numbers to the budgetary expenditure under the education vote. University academics too have questioned the validity of increased expenditure on education in terms of the country’s total output, known as Gross Domestic Product or GDP. According to critics, there has been an unusual “number-inflation game” in the education vote. However, the same game, if it can be called a game, has been played with the health vote as well, though on a smaller magnitude, unknown to critics. This has led to a similar inflation of the estimates of the non-tax revenue too in the Budget. Having failed to understand why and how non-tax revenue has shot up phenomenally, openly questioning whether Sri Lanka’s fiscal house is in order, the Chief of the IMF Mission to Sri Lanka, Todd Schneider, has expressed doubts about these impressive numbers in Budget 2016. In such a background, good governance principles require the Ministry of Finance to issue a clarification on the issues raised by Parliamentarians and independent analysts. With the absence of such a clarification, the public has become confused whether to believe or disbelieve budgetary numbers. Hence, it is necessary to examine the issues involved from an “economic point’ to disabuse the minds of the concerned public. Two clarifications are in order before proceeding with the examination of the issue at hand. One is that Government statistics, including those in the Budget, are to be prepared by following international best practices which have been codified in an IMF publication titled ‘Government Finance Statistics Manual’, updated and released periodically. The other is that the expenditure on education or health or any other function of the Government cannot be ascertained from the approved votes in Parliament. They are just raw numbers that have not classified expenditure either by function or by economic purpose. Hence, they have to be reworked by following, again, the recommendations of the Government Finance Statistics Manual and that would be a subsequent exercise to be completed by the Central Bank. A government’s budget does not stand alone from the rest of the macroeconomic sectors in the economy. It has a relevance to and a bearing on the national accounts which calculate a country’s GDP, balance of payments that records its position with other countries and financial and monetary statistics that compile money supply numbers. All these statistics are compiled by following the double-entry book keeping principles just like preparing the accounting statements of a private company. Hence, any expenditure in the budget, say payment of salaries and wages to government employees, is an income in the national accounts. Similarly, any expenditure on a capital item by the government should be a part of the capital formation in the national accounts. When the Government raises a foreign loan, it is a part of the financial flows in the balance of payments and any repayment of a foreign loan is an outflow in the same account. Likewise, when the Government borrows money from the Central Bank to finance the Budget, it is a part of the domestic credit expansion in the money supply statistics. Therefore, all these macroeconomic accounts are interrelated and should be prepared in conformity with each other. To prevent the individual governments from using their own standards and methods and thereby coming up with confusing sets of statistics which are not internationally comparable or domestically in conformity, the international community has agreed on establishing a set of common standards when preparing these accounts. Accordingly, national accounts are to be prepared by following the System of National Accounts or SNA released by the United Nations. The IMF has taken action to prepare a comparable set of standards for the other three macroeconomic sectors. Accordingly, budgetary numbers are to be prepared in terms of the Government Finance Statistics Manual or GFSM, external sector numbers in terms of the Balance of Payments Manual or BPM and money supply numbers in terms of Monetary and Financial Statistics Manual or MFSM, all released by the IMF. The latest GFSM has been issued by the IMF in 2014 which has updated its earlier edition released in 2001. Sri Lanka is not fully compliant with even the 2001 version of GFSM. The Ministry of Finance has disclosed in its Annual Report for 2014 that the accounting methodology of keeping government accounts has been the Generally Accepted Accounting Principles relating to public sector entities. But for analytical purposes, budgets should be presented in terms of GFSM. There are two major novelties introduced in GFSM. One is that, like in private companies, government flows should be recorded on an ‘accrual basis’ meaning that what should be recorded for a particular year is what is relevant only to that year. Thus, if some payments are in arrears, they should be added to and if there are payments in advance or payment of arrears, they should be removed from the annual flows. At present, Sri Lanka records all its budgetary flows not on an accrual basis but on a cash basis. The second is that the Government should, like a private entity, prepare a comprehensive balance sheet recording both assets and liabilities and showing the net-worth of the Government. Sri Lanka has so far not ventured into doing this and has been releasing its Government statistics on a cash basis, though it has prepared a truncated balance sheet recording only the financial assets and financial liabilities. Hence, on both counts, there is a long way which Sri Lanka has to go in order to make itself compliant with GFSM. The second qualification is that, in order to derive the expenditure on education, the relevant statistics should be extracted from all ministry votes and not necessarily from the Ministries of Education or Higher Education. The numbers relating to education, extracted from all ministry votes should be presented in a separate table called ‘functional classification of government expenditure’. In terms of GFSM, education expenditure consists of both direct and collective expenditure incurred by the Government on behalf of pupils. Pupils include all those who are in the primary, secondary, tertiary and vocational streams. Direct expenditure items include those that directly benefit the pupils such as salaries paid to teachers, facilities provided to students to carry on learning such as free textbooks, free meals, free uniforms, etc. Collective expenditure items include those items that are beneficial to pupils as a whole such as expenditure on revising syllabuses or conducting examinations, etc. All other expenditure items in the ministry votes are classified as general administration or procurement of services. Accordingly, salaries paid to educational officers and those in the ministry are not for education purposes but for general administration. As such, not all the expenditure items presented in the Ministry of Education or the Ministry of Higher Education votes are considered as those incurred for education. The table that has represented government expenditure in terms of different functions is published by the Central Bank in its Annual Report. Hence, until this table is published, it is not possible to ascertain how much has been spent on education by the Government. What it means is that it is misleading to consider the votes of the Ministries of Education, Higher Education and Vocational Training as the expenditure incurred by the Government on education. The Finance Ministry has done something unusual in the Budget 2016 relating to both education and health services. That is, it has assessed the implicit rent value of the lands and buildings owned by the Government and used for providing education and health services. Then it has presented such notional rent values in the budgetary estimates as recurrent expenditure on education and health services terming them ‘Capital Carrying Cost of Government Lands and Buildings’. This is a departure from the practices it had followed in the past where expenditure recorded under each head had been only those actually expended by payment of cash from the Treasury or incurring a debt by the Government. The rationale for changing the system only in respect of education and health has not been disclosed in the draft estimates. The amount so reported as expenditure on education and health has amounted to Rs. 139 billion, made up of Rs. 121 billion for education and Rs. 18 billion for health. The estimates say that the Ministry expects to expend the same amount on the same count in each of the next two years, namely 2017 and 2018 as well. The total of such notional rent income from lands and buildings amounting to Rs. 139 billion has been added as ‘Non-Tax Revenue’ in the revenue estimates of the budget for 2016 as well as in the two subsequent years. This practice has inflated the Non-tax Revenue number in Budget 2016 causing even IMF Mission Chief to question its validity. Why is this practice unsavoury? This practice is unsavoury on five counts. First, it is not in accord with the recommendations in GFSM which provide the best international practice in presenting government statistics. Second, it has implications on the compilation of national accounts since such expenditure reported in the Budget is not an income of any party in the economy or the revenue attributed to the Government is not a leakage of income from the economy. Therefore, it is inconsistent with national accounts. Thirdly, it inflates both the education and health expenditure and the revenue of the Government recording more favourable ratios in terms of GDP and thereby misleading the public, international agencies and analysts. Fourthly, it is a selective application of a new principle ignoring all other Government entities with lands and buildings and such selective application, representing a weird ‘cherry picking’ is not prudent and does not go well with good economic policy governance. Fifthly, it creates a gap between the Government’s cash flows and flows reported in the budget making budgetary numbers unreliable. However, it is a universal fact that when capital assets are used for carrying out one’s activities, there is a cost attributable to such usage. In private usage, this is known as depreciation and such depreciation is taken out of the income by charging it to the profits and loss account. The end result is a reduction of the net worth of the person to the extent of the depreciation involved. In the case of governments, the use of capital is still taken into account as provided for in GFSM. But the treatment method is different from the treatments made in private accounting. When the Government incurs a capital expenditure such as acquisition of lands or construction of buildings, such capital expenditure is reported as an expense in the Budget for which the Government has to find money for its financing. Since such acquisitions enhance the net worth of the Government, they are shown as physical assets owned by the Government in its balance sheet. They are reported at historical costs in terms of the Generally Accepted Accounting Principles relating to government sector accounting which the Government of Sri Lanka too is following. They may be brought to market value by revaluing at later stages but the revaluation profits are directly added to the net worth of the Government without distorting government’s revenue flows. The use of such capital assets in producing government services is known as capital consumption in GFSM as well as in the System of National Accounts. The way to calculate it is to assess the remaining lifespan of the asset and divide it by the number of years involved. For instance, if a school building is valued at Rs. 1 million and it has a life span of 10 more years, the annual capital consumption is just Rs. 100,000. This is a cost but that cost is not presented as an expense of the Government by showing it under the expenditure votes. It is directly deducted from the net worth of the Government since its ultimate effect is to reduce the net worth. The reason for treating it as a direct reduction of the net worth without distorting government budget is related to the way countries calculate their domestic outputs, known as GDP. They calculate GDP before charging depreciation, the charge of which results in generating net domestic product or NDP. If the Ministry of Finance desired to reckon the capital consumption used for producing educational and health services, the appropriate procedure would have been to charge it directly to the net worth of the Government and not to present it as an expenditure item in the Budget. But since the government’s balance sheet does not contain physical assets, that procedure would not have been possible. Given this background, the Ministry of Finance should have ignored this capital consumption part altogether as it had done in the past. When it has been arbitrarily brought into the budgetary numbers, it has created room for critics to attack both the budget and the Minister of Finance. Hence, the current wave of criticisms against the budget and the Minister of Finance is a creation of the Ministry of Finance itself. However, it will not distort the budgetary figures for analytical purposes, since the Central Bank, when representing budgetary numbers in terms of ‘Functional Classification of the Expenditure of the Government’ later, will disregard this notional rent reported in the Budget 2016. 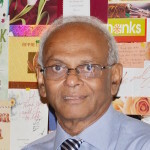 As such, it has only discredited Sri Lanka’s Budget and its budget-making causing the Government to lose its reputation as a practitioner of ‘good economic policy governance’. Screaming At Gota & Silent On Fonseka, Why?